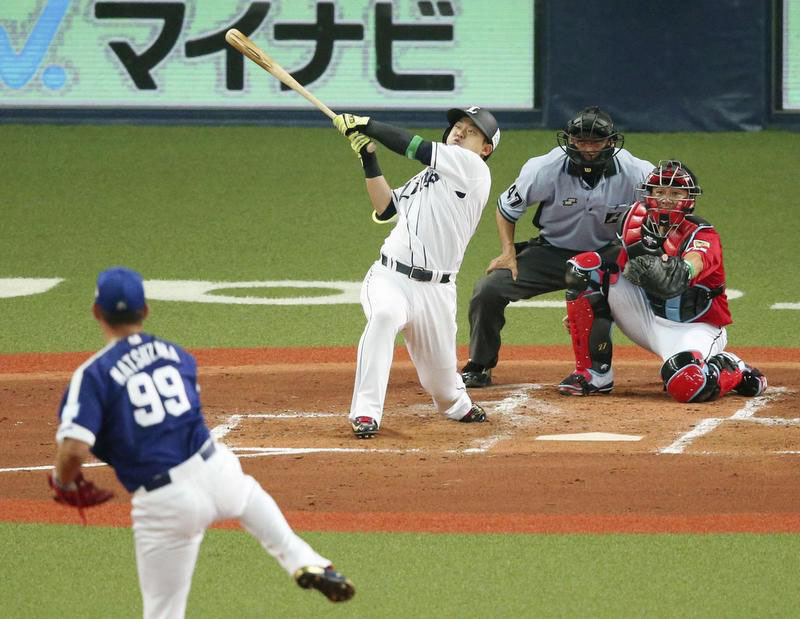 OSAKA - Back-to-back RBI singles in the seventh inning by Alfredo Despaigne and Hotaka Yamakawa lifted the Pacific League to a 7-6 victory over the Central League in the NPB All-Star Series opener on Friday night. With the score tied 5-5 in the seventh inning, Fukuoka SoftBank Hawks outfielder Despaigne drove in the go-ahead run with a fly to left off Onelki Garcia. Seibu Lions first baseman Yamakawa then drove in another run by belting a single to center, extending the lead of the host PL at Kyocera Dome. It was a forgettable night for Chunichi Dragons hurlers after Daisuke Matsuzaka was pummeled in his All-Star return, having been voted in as the CL’s starting pitcher. The 37-year-old right-hander’s first All-Star appearance in 12 years, and his ninth overall, was nothing short of a nightmare. He gave up five runs on four hits, including two homers, in one inning. 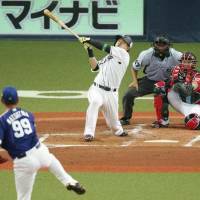 After leading off with a home run in the opening game of last year’s series, Lions outfielder Shogo Akiyama repeated the feat Friday, sending Matsuzaka’s sixth pitch over the right-field wall. An RBI single to Orix Buffaloes outfielder Masataka Yoshida and a three-run homer from Seibu catcher Tomoya Mori ensured an early shower for Matsuzaka, a former Boston Red Sox and New York Mets starter. The CL clawed its way back into the game with two runs in the second inning and three in the third. The scoring outburst included home runs by the Hiroshima Carp’s Seiya Suzuki and Toshiro Miyazaki and Yoshitomo Tsutsugo of the Yokohama BayStars. Mori was crowned MVP of the series opener after finishing his three at-bats with one run, a pair of hits and three RBIs.